Giveaway - link! - ending today!! Obtained some skin care sample bits from department store. Really intrigued by the Chanel concept which put Salicylic Acid (BHA) in Le Jour, and Glycolic Acid (AHA) in Le Weekend. I'm on a serious chemical exfoliation kick right now so these seem to be my cup of tea, or acid! A day of bad weather and to perk up my mood I decided to purchase some brow products from Bonjour. Then the other day, on a day too sunny and hot, I walked in a Sasa for the air conditioning and left with more brow products. Insane. Honor - her blog - made me buy these. Not a fan of fur or fluff, but interested to try the very popular Miss Hana liners. I got the shimmer brown and shimmer black, Honor took the pure black and pure brown. $276 for a set of four. Intended to visit Seibu for other counters, and passed by Bourjois (intentionally?). Left with a heavy bag of free gifts (7 full size body products), along with the acquisition of certain new Summer products. Excited things, which I'll probably be uploading to my monthly journal or somewhere. Look out for that! Because it is pink, and holds make up perfectly. The smell is growing on me too, I am kind of obsessing over it. 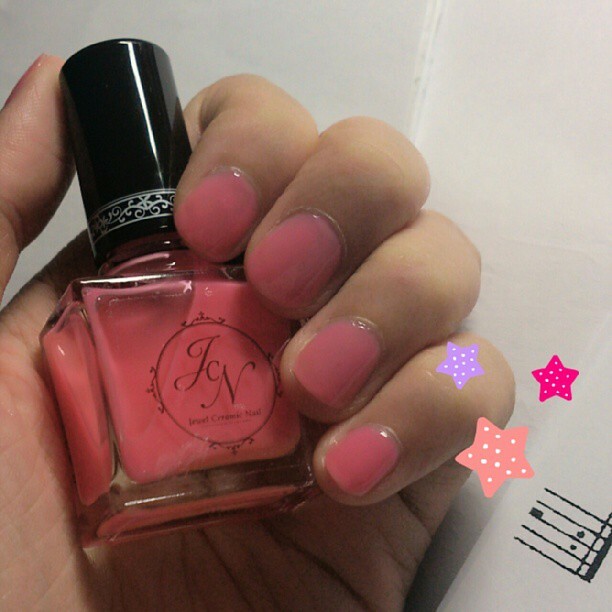 Jewel Ceramic Nail (JCN) Nail Polish "Apricot Pink"
It's been months since I last lacquered up my nails. This is the only colour from this brand, picked up from Tokyo last year. I wish I had bought more! Definitely, "The Blonde Salad"s interview on Into The Gloss - link. It's been really difficult to think of new things to add, so I'll just jot down whatever number there are this week, instead of doing one per day (a practice since my 100dayspendingban). Suqqu Balancing Eyebrow "02 Brown"
Wishing you good health, and a lovely transition into Autumn - if that has started at your place already - as that's my favourite season of the year!